A fake Facebook post has gone viral. So not to get too niche on you guys, but there’s this film called Back To The Future, and it stars Michael J Fox (Teen Wolf) as a teenager in the 1980s who accidentally gets sent back in time to the 1950s, and has to make sure his parents get together, otherwise he’ll never be born. It’s pretty good, and if you haven’t seen it, you probably should. They even made a sequel, that’s also really good, and then a third one that’s also a cowboy movie for some reason, and it’s not quite as good, but it’s still fun. Anyway, Facebook has been abuzz for the last day or two, after a Michael J Fox appeared to post a photo of himself, Christopher Lloyd (aka Doc Brown) and Lea Thompson (Marty’s mum), with the announcement the Back To The Future Part 4 was on its way, with shooting supposedly having started secretly last summer. Excited? Well, sorry to burst your bubble, but it’s not true. The Michael J Fox Facebook page is a fake, and is currently claiming that Kendrick Lamar is involved with the film. The photo is actually from Lea Thompson’s Instagram. It dates back to July 2015, when Thompson, Fox and Lloyd reunited for Back To The Future’s thirtieth anniversary, at the London Comic Con. This hasn’t stopped people getting excited on social media though. BACK TO THE FUTURE 4??!???!?? 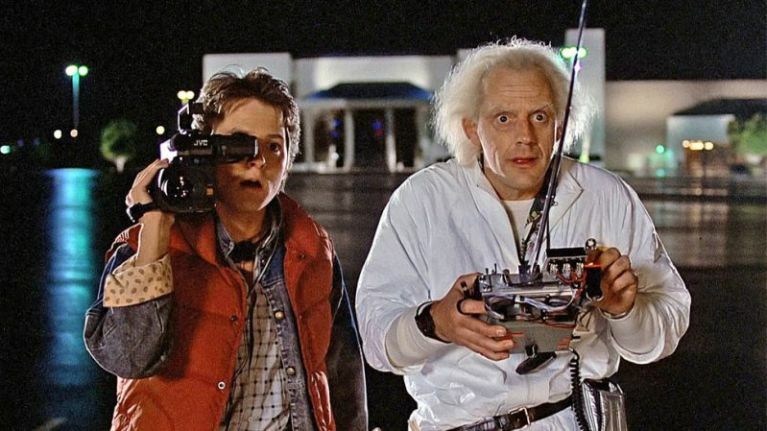 In 2017, Christopher Lloyd – who is now 79 years old – said he would be up for Back To The Future part 4, but nothing more than that has happened. He has however revived the character several times recently, including a short on the thirtieth anniversary Blu-ray release of the trilogy, and in Seth MacFarlane’s western comedy A Million Way To Die In The West.